Phytoplankton are tiny, microscopic plants that are the base of the food chain in the ocean. All ocean life depends on phytoplankton. Phytoplankton is one of the most valuable sources of nutrition on earth. It’s incredibly high in nutrition and health benefits. And when it comes to our dog’s health, phytoplankton isn’t just any old seaweed … this stuff is seriously potent. Giving your dog even the tiniest amounts of phytoplankton can boost his health. And as researchers are finding out, it fights cancer and other diseases too. Here are just some of the reasons you should add phytoplankton to your dog’s diet. Phytoplankton is a whole food that delivers a highly concentrated source of balanced nutrition. This means your dog can absorb this nutrition without having to digest it first. Usually, your dog’s digestive system has to break down food before the body can use it for energy. But phytoplankton is made up of tiny nanoparticles, so the body’s mucous membranes can absorb it. This means phytoplankton delivers energy directly to the body’s cells. Dogs with leaky gut syndrome, EPI, digestive upset and bowel disease will have trouble getting proper nutrition from their food. Fish aren’t born with high levels of omega-3 fats. Just like your dog, they need to get omega-3 in their diet. And they get it from phytoplankton. Omega-3 fatty acids support the immune system and cognitive function. They’re also good for heart, skin and joint health. Omega-3s can also help reduce inflammation in the body, minimizing the risk chronic disease. Phytoplankton contains the Omega-3 essential fatty acids DHA (docosahexaenoic acid) and EPA (eicosapentaenoic acid). And it contains nearly double the amount of omega-3 fats by weight as fish oil. But fish oils oxidize when exposed to oxygen. This actually increases inflammation in your dog. And fish contain mercury and other heavy metals, PCBs and other toxins. And Pacific fish are suffering from the effects of radiation. 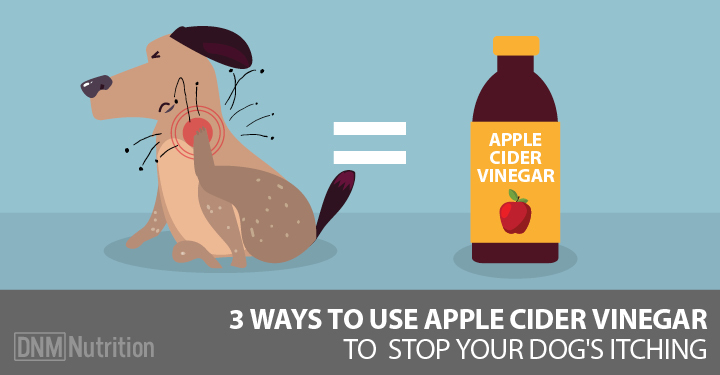 These toxins all get passed to your dog and outweigh any benefits from the omega-3 fats. And fish oil is not sustainable and creates dead zones in our oceans. [Related] Read more about the reasons why you should dump fish oil from your dog’s diet here. Most dogs (as well as people) are deficient in trace minerals. One important reason for this deficiency is the widely used pesticide glyphosate (Roundup). Glyphosate chelates (binds to) trace minerals such as copper, iron, cobalt and manganese. Trace minerals are essential to good health as they support critical biological functions. This includes digestion, growth and hormone regulation, enzyme function and thyroid health. And manganese-deficient dogs are much more likely to develop joint disease and cruciate tears. The body naturally produces free radicals through metabolism. Environmental factors like pollution also play a huge role. These are unstable atoms that can damage cellular health and cause cells to die. Free radicals build up in the body like rust and they are the cause of all disease and premature aging. National Cancer Institute tests and studies show phytoplankton has cancer-killing potential. And that’s because of its antioxidant properties. Antioxidants are molecules that can prevent this cell damage. They help prevent cancer, heart disease, eye problems, and immune system issues. They also have anti-aging effects. In fact, phytoplankton contains what’s known as the king of antioxidants, Superoxide Dismutase (SOD). SOD is the body’s most powerful antioxidant enzyme … it protects cells and helps remove toxins, including heavy metals from the body. Researchers found that the longest-lived animals, like sea turtles, contain large amounts of SOD. Shorter-lived animals, like mice, contain only small amounts. So SOD can be an important addition to your dog’s diet! SOD uses a process called dismutation to deactivate a free radical called superoxide. This turning the free radical into hydrogen peroxide, which then breaks down into harmless oxygen and water. SOD is said to be 3,500 times more potent than vitamin C.
Phytoplankton is considered the best bioavailable source of SOD, making it a powerful antioxidant and detoxification agent … especially compared to other antioxidant sources like berries and vegetables that must be digested before the body can use them. Because phytoplankton is absorbed on the cellular level, the liver gets a break from digesting food. The liver is the master organ for detoxification in the body. It’s vital for the absorption of nutrients. As your dog ages or experiences health problems, the liver can lose its ability to accomplish these jobs. This makes it harder to absorb vital nutrients. Phytoplankton can deliver nutrients that help restore liver health without making it work for those nutrients. Due to its high bioavailability, you’ll only need a small amount: about 1/16 teaspoon a day for any sized dog (unless the phytoplankton contains fillers).